April 22 was Earth day! This week in Kindergarten we have been learning about our Earth and how to take care of it! 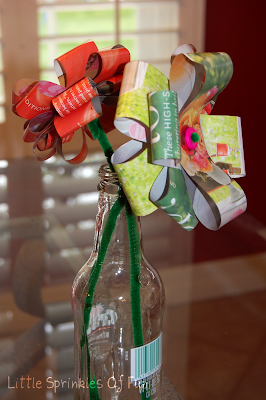 I usually make these awesome Recycled Magazine Flowers with my kiddos! The great thing is that I usually turn this little project into a Mother's Day gift for their mothers! We have yet to get these started this year, even still I wanted to share these awesome flowers with you! You all know how I love the Family Fun Magazine! This is an activity that I found in the magazine several years ago! I tried to find the link, but did not have much luck. I am sure it is on there somewhere...who knows! 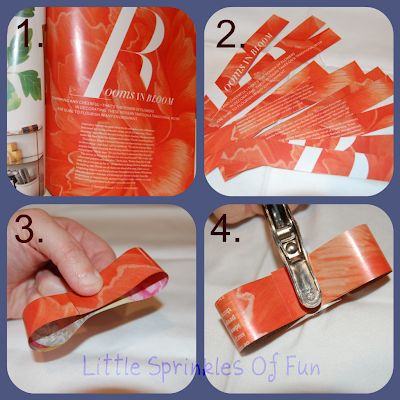 *First, you will cut 4 to 6 same-size magazine strips. I have cut them both the width and the length of the magazine page. It will work both ways! You can cut them between 1/2 inch to 1 inch. *I found that if you place a tight fitting bead onto the green stem that your flower will stay put better. * When you are finished with your flower, place a button through the green stem. You will thread the stem through the other hole in the button. I usually feed the stem all the way back through the bead underneath. This keeps the flower tight. 6.) Finishing touches! In the past I have used glass soda bottles as the vase! They always turn out so cute! 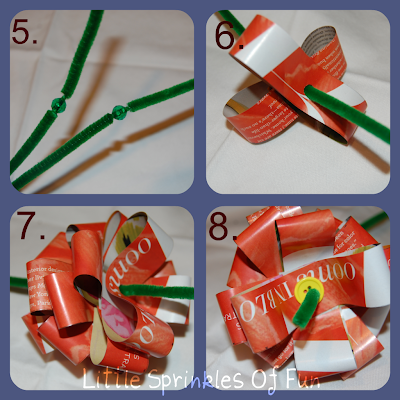 Tie a ribbon around the vase and your done! Linking to these wonderful blogs! Can you believe we are already to Thursday again?!?! Seriously...where does the time go? I admit that these post on Thursdays will be good for me! I am guilty of running through my days and weeks and not acknowledging and/or appreciating all that I have. I have a loving husband and two wonderful children. My husband Jason and I have been 7 years and 2 months. We have had our ups and downs (like all couples), but we are very committed to each other and our children! 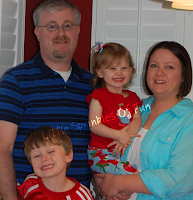 We have a 3 year old little girl named Kylie and an almost 6 year old boy named Landon. Both have a fun, loving and energetic spirit! Really, these 3 people have totally changed my life for the better! I am so thankful to have them in my life! "What is your most Thankful Thing?" The short version--- Both mom and young daughter are looking through moms scrapbook.. and with each major event in moms life her little girl asks her mom..."Is that your most Thankful Thing?" Mom always replies that "No, That is not my MOST Thankful Thing." Mom replies this way until she gets to the birth of her daughter. This time mom replies that her most thankful thing was when her daughter was born. My most Thankful Thing is definitely my two kids and my husband!